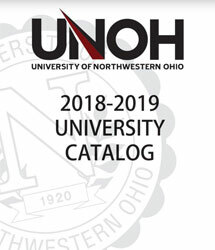 UNOH's compliance with Title IX is managed by a Title IX coordinator. There is a coordinator for students, and a coordinator for employees. Any student, faculty, or staff member with a concern or question about Title IX and/or a potential violation may seek the assistance of the Title IX Coordinator. A coordinator is available to help you understand your options. Contact titleix@unoh.edu for additional information regarding Title IX compliance and reporting at UNOH.